Do you need this replacement package today? Call Australia wide 1300 131 133 to know how! 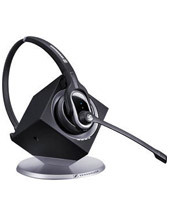 A subsidiary of GN Netcom, Jabra Corporation has the reputation of being one of the best when it comes to the development, manufacturing, and marketing of corded and wireless headsets, together with speakers and speakerphones for personal and professional use. Founded in the year 1983 by Elwood Norris, the company has operates in the global market since then through its major headquarter located in Copenhagen, Denmark. Jabra has a colourful history that started with Norcom Electronics Corporation, a Utah company that was also founded by the same founder of Jabra. 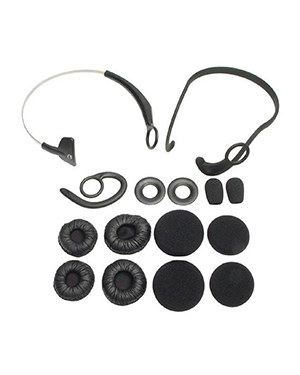 The company is known for being one of the first enterprises to be involved in the development of technologies connected to ear-microphones and ear-radios. Norcom Electronics became Norris Communications, Inc. or NCI after the company being traded. It was then that Randy Granovetter and Cream Murray bough the share for Earphone products, and officially started Jabra Corporation in the year 1993, 10 years after. 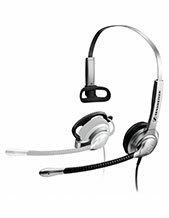 Headsetsonline Pty Ltd is one of the most reliable enterprises that offer wide selection of headsets, speakers, and speakerphones. The company came from the well-trusted company of government sectors and corporate organisations since the year 1998. Headsetsonline has then acquired this greatness and has continued to do so. 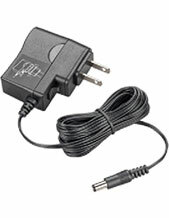 Headsetsonline acquires its products and solutions from Australian distributors and not grey imports. This means that all of the products offered by the company are Australian standards certified and that customers can be assured that all of the warranties offered by the company together with the products are covered, wherever they may be in the country. Headsetsonline also operates most of its transactions through its online website, which is ensured to be encrypted so that all transactions that go through with the site are protected. It has HTTPS with green URL address and has the GeoTrust True Business ID with Extended Validation. All of these factors help in protecting customers while they do their shopping in the site.